Changes to the level of services offered at Boston’s Pilgrim Hospital for the children’s and neo-natal unit have had a major impact on families affected, say campaigners fighting to get them restored to previous levels. Members of the SOS Pilgrim Call to Action group have been fundraising to ensure families affected get help to deal with the difficulties that has brought. And after helping families having to transfer from the maternity unit, campaigners are now planning to tackle a much more ambitious project to make life easier for the scores of families whose children have had to go elsewhere for in-patient treatment. 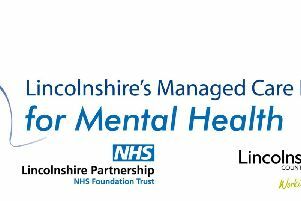 The changes brought in over the summer – labelled the interim model by the United Lincolnshire Health Trust which runs the Pilgrim – saw the children’s unit become an assessment unit only, with children needing further treatment having to be transferred within 12 hours. The Neo-Natal unit changed from taking in expectant mothers due to give birth at 30 weeks to 34 weeks, which has meant mums-to-be coming in earlier than that have had to be sent elsewhere. Campaigners from the SOS group used money raised from fund-raising to pay for transfer packs to help families being moved elsewhere from the maternity unit. Now the group is planning the much more ambitious task of providing Paediatric Transfer Packs for premature babies and their families who are being sent to Lincoln and other hospital. Packs include items such as nappies and vests for premature babies, a hat and blanket, a £50 voucher, boxes of breast pads, sanitary towels, toiletries and a notepad and pen for mum to jot down all the information she will be given in hospital. The trust confirmed that since the interim model started 176 children have been transferred to other hospitals. 155 have been transferred for inpatient care, 19 to other hospitals for specialist care and two have been repatriated to a hospital closer to their home. SOS member Emma Wilcock said the group now planned to do more public fundraising events to help raise the profile of the campaign and to fund the new transfer packs. “SOS Pilgrim - Call to Action are running an event throughout February called ‘Loving Lincolnshire Lives’ to celebrate our local NHS,” said Emma. There will be an event running at Boston Stump from 4th to 8th Feb and then 11th - 13th Feb from 9.30am until 11.00am each day where, for a small donation of just £1, members of the public can write messages for Pilgrim Hospital, departments within the hospital or members of staff at the hospital on love hearts. The hearts will then be on display at Boston Stump from 4th to 28th Feb.
“The proceeds from the purchase of hearts will go towards purchasing Paediatric transfer packs for children and parents who are transferred from Pilgrim. The group will also be delivering toys to Pilgrim A&E on 26th Feb at 10am. These toys have been purchased with funds raised by parents who held a local Christmas market. A first SOS Pilgrim engagement event in Skegness is due to take place on 19th February.